We've been cooking a lot of meals in the crockpot, and this one was so easy. Jess really liked it because it made so much. It fed us for several meals over the course of a week. Place soups and chicken broth in a crockpot and whisk until smooth. Place chicken in the pot and press the breasts to the bottom. Cover with lid and cook on low for 6 hours. 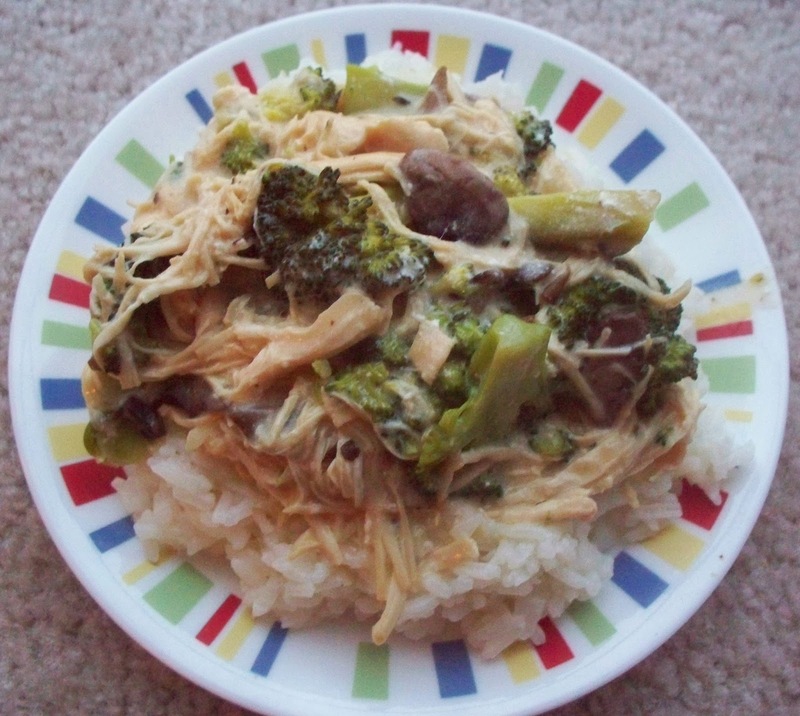 Shred chicken and stir in sour cream, broccoli and mushrooms.